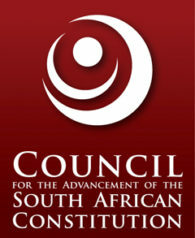 My Vote Counts and the Council for the Advancement of the South African Constitution (CASAC) have compiled a comprehensive report on the 26 shortlisted candidates who have been shortlisted for interview for the three vacancies as Commissioners for the Electoral Commission (IEC). A panel consisting of Chief Justice Mogoeng Mogoeng, the Chairperson of the Human Rights Commission Prof Bongani Majola, the Deputy Chairperson of the Commission on Gender Equality Ms Tamara Mathebula and the Public Protector Adv Busisiwe Mkhwebane will interview the candidates from 25 to 29 June 2018. The panel has whittled down the 119 applicants to a shortlist of 26 candidates for interview. CASAC is a project of progressive people who seek to advance the South African Constitution as the platform for democratic politics and the transformation of society. It embraces the contestation of ideas, and encourages debate on how best to build a just and equal society in which people can live securely and with dignity.